Portland State University’s School of Business Administration offers five distinct Graduate Business Programs that change, build and serve communities around the globe. Known for developing leaders with a focus on innovation, experiential learning and global awareness, Portland State's graduate business programs have received worldwide recognition. To be considered for the full-time MBA+ program, students must have a minimum undergraduate GPA of 2.75, or, alternately, 3.0 in nine units of graduate-level coursework. Prospective students must also have at least two years of professional work experience before entering the program. In the class of 2009, the average GMAT score was 628 and the mea...To be considered for the full-time MBA+ program, students must have a minimum undergraduate GPA of 2.75, or, alternately, 3.0 in nine units of graduate-level coursework. Prospective students must also have at least two years of professional work experience before entering the program. In the class of 2009, the average GMAT score was 628 and the mean undergraduate GPA was 3.26. The largest school in the state, PSU maintains “powerful connections to the Portland-area business community.” Within the business school itself, faculty and administrators are “are ultra-accessible and always willing to provide career advice or introduce you to peo­ple they know in the business community.” In addition, PSU has “a good alumni net­work” throughout the state of Oregon. Drawing on its deep ties in the Portland commu­nity, the academic experience at PSU is augmented by various professional development activities, like expert panel discussions, alumni networking events, and a mentorship program. At the same time, students note that career services are not as robust as they’d like. While the school affords them many opportunities, “Students are expected to lever¬age other offerings, such as mentoring programs, informational interviews, etc.” Companies that have partnered with PSU through the mentor program, as student proj¬ect partners, or as employers include Columbia Forest Products, Columbia Sportswear, Costco, Ernst & Young, Intel, Nestle, Nike, PepsiCo, and WebTrends. The average start¬ing salary for full-time PSU students is about $65,320. 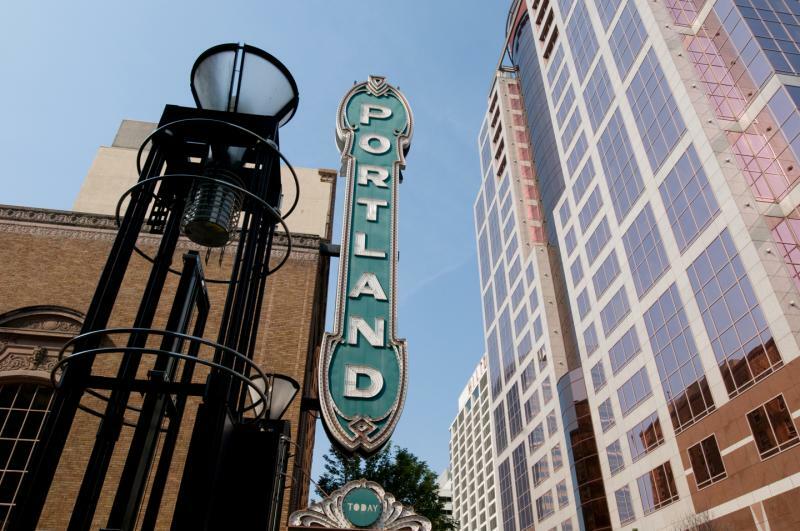 As Oregon's largest university, Portland State serves over 29,000 students annually. Located in the heart of the city, this public university's innovative approach to education combines academic rigor in the classroom with field based experiences in the community. PSU's motto, "Let Knowledge Serve the City", is embodied through the teaching and research of accomplished faculty whose work and students span the globe.Portland State prepares the business leaders of tomorrow by equipping students with the tools they need to change, build and serve communities around the world. Maintaining full time, part time and online programs, Portland State’s Graduate Business Programs develop leaders with a focus on innovation, experiential learning and global awareness while integrating sustainable practices into business. The MBA program allows students to focus their degree in a wide array of topics, through a range of coursework both inside the business school and available through other departments in the University. Some popular areas of concentration include: Finance, Innovation Management & Entrepreneurship, International Business, Sustainable Enterprise, Real Estate Development and Food Marketing Logistics. Want more info about Portland State University, School of Business Administration Part Time MBA? Get free advice from education experts and Noodle community members.